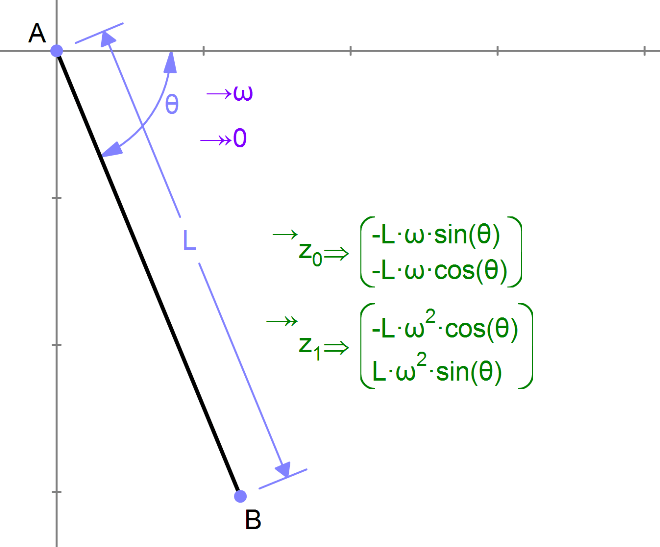 Here is a model of a pendulum with given angular velocity (applied to the angle θ.) 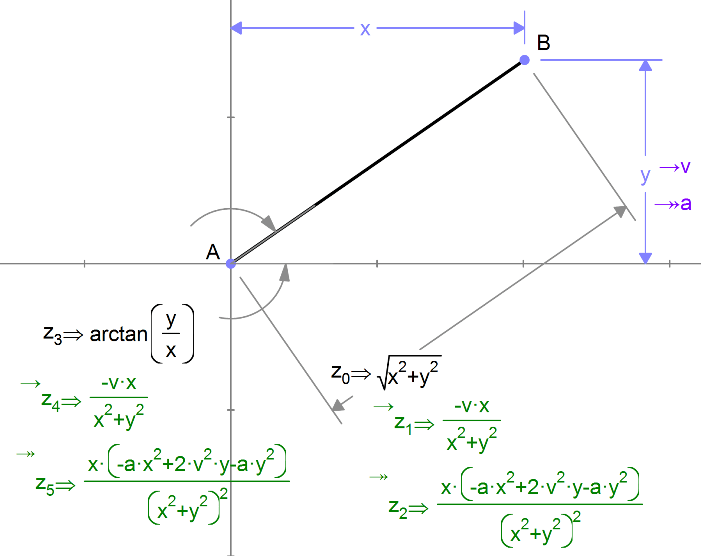 The velocity and acceleration of the point B are measured. 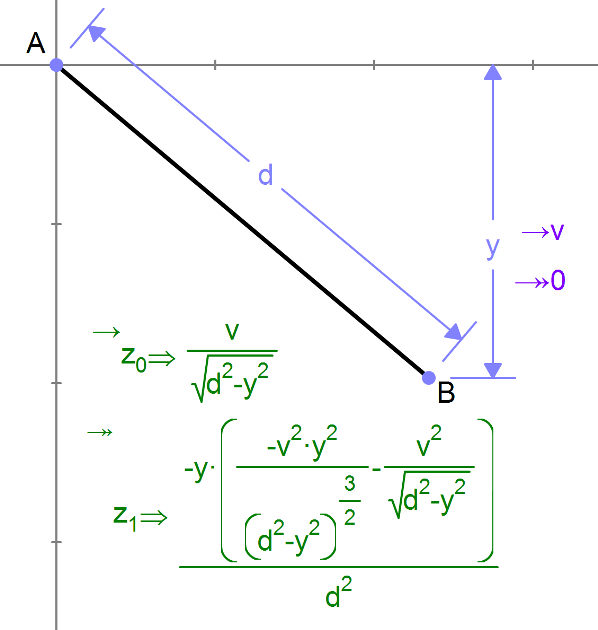 Here is the angular velocity and acceleration of line AB. We can also measure the velocity and acceleration of an output measurement (distance or angle). Here we look at a particle B which is moving vertically with velocity v and acceleration a. We measure its distance from the origin and the angle it makes with the x axis. To measure the apparent velocity and acceleration to an observer at A, we measure the velocity and acceleration of the distance.